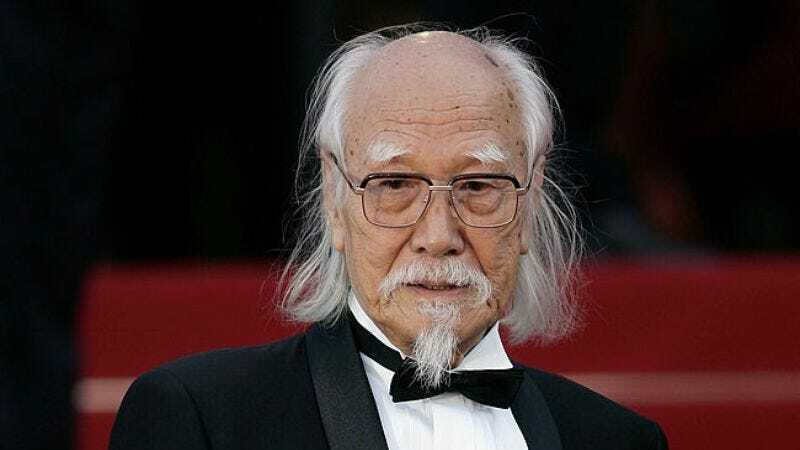 Seijun Suzuki, the maverick Japanese director whose experimental, jazz-influenced B-movies influenced filmmakers like Jim Jarmusch, Quentin Tarantino, Wong Kar-wai, and Takeshi Kitano, has died. According to The Hollywood Reporter, Suzuki died on February 13 at a Tokyo hospital, but the announcement was made by Nikkatsu—the studio that famously fired him back in 1967—last night. The cause of death was chronic obstructive pulmonary disease. He was 93. After serving in the Imperial Japanese Army in WWII and failing to pass the University of Tokyo entrance exam, Suzuki began his career at the Shochiku Company as an assistant director in 1948. He was soon lured away to a job at Nikkatsu Studios, which re-opened in 1954 after shuttering during the war. At the time, the Japanese film industry operated under a strictly hierarchical studio system, and Suzuki quickly worked his way up through the ranks, directing his first film, Victory Is Mine—a potboiler based on a popular pop song—in 1956. For the next decade, Suzuki worked at a remarkable pace, churning out an average of three B-movies a year on a rigidly structured assembly line system from scripts provided to him by the studio. His work is inextricably linked to the yakuza crime genre, which he pushed to new creative heights in films like Youth Of The Beast (1963), Tokyo Drifter (1966), and Branded To Kill (1967), which blended avant-garde aesthetics and stylized violence and are now considered classics of the genre. Suzuki’s bosses didn’t appreciate his experimental ways, though. He was fired after his bosses saw Branded To Kill, informing the director that his films, as BBC film critic Mark Kermode puts it, “made no sense and no money” and he might as well give up as a filmmaker. Suzuki eventually sued Nikkatsu for breach of contract, with support from cineasts and university film clubs; three and a half years later, he won, receiving one million yen (a fraction of his original 7 million yen claim), a public apology, and two of his films donated to the Tokyo National Museum of Modern Art. The next decade saw Suzuki venturing into acting, writing, and directing TV, but not directing any films. Shochiku took him back for his big return to filmmaking, A Tale Of Sorrow And Sadness; that film flopped, but his followup, 1980’s Zigeunerweisen, won four Japanese Academy Awards and was declared the best Japanese film of the decade by local critics. For the remainder of his career, Suzuki worked as an independent, eventually finishing the trilogy he began with Zigeunerweisen; all the while, his stature continued to grow in Japan and abroad, and he made his final film, the musical fairy tale Princess Raccoon, in 2005. Many of Suzuki’s films have been given deluxe re-issues by the Criterion Collection, and seven of them are currently streaming on FilmStruck.